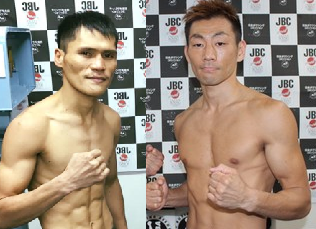 Filipino OPBF Bantamweight champion Mark John Yap is scheduled to defend his title against higly rated Japanese fighter Takafumi Nakajima of Japan. This would be Yap's 3rd time to defend his title. He got his OPBF title when he knocked out Takahiro Yamamoto in 2016 and defended it two times by way of impressive KO in Japan. Yap is now Japan based boxer and rated no. 6 for WBC title and 8th for IBF world title. On the other hand, Takafumi Nakajima is also a tough boxer with a record of (29W-9L, 13KO-1D) currently world ranked no. 49 in the super bantamweight division. Nakajima is coming off 4 consecutive victories and 3 of those are by way of KO. Mark John Yap vs Takafumi Nakajima will take place at the Korakuen Hall, Tokyo, Japan on April 4, 2018.